Photo of: West of Ireland: Kerry. 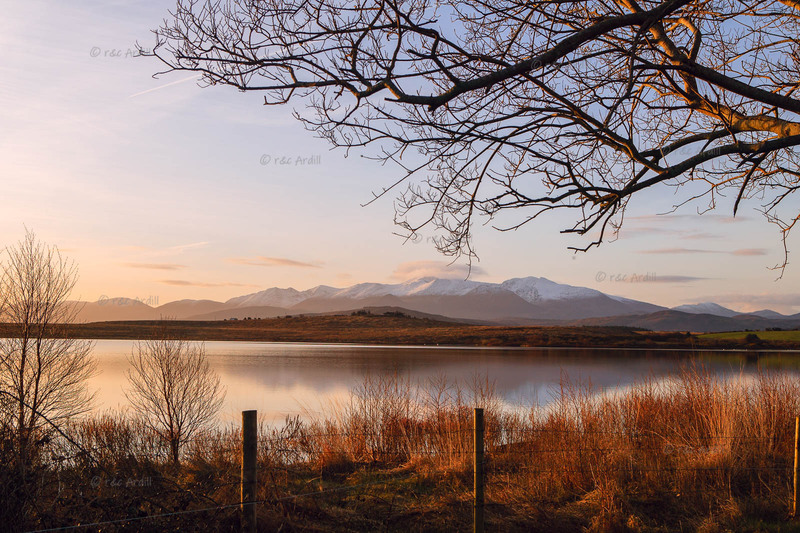 Dawn view of the Macgillycuddy's Reeks mountains on the Iveragh Peninsula in Kerry. The highest peek is Carrauntoohil, Ireland's highest mountain. The lake in the foreground is Lough Yganavan (or Loch Gaineamhain in Gaelic), close to Dingle Bay. The image was taken in early April: at that time of year snow on the mountains is unusual.